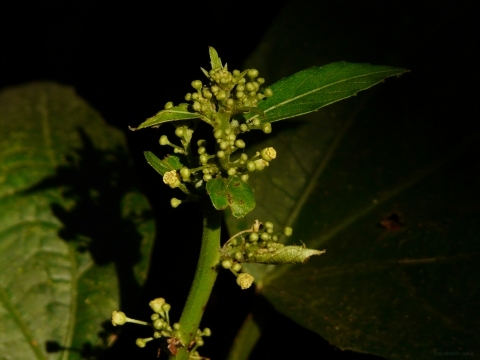 Baliospermum angulare Decne. ex Baill. Baliospermum razianum Keshaw, Murthy & Yogan. Ripening fruit - the old small male flower is just above it. E. Asia - southern China, Indian subcontinent, Myanmar, Thailand, Laos, Cambodia, Vietnam, Malaysia, Indonesia.